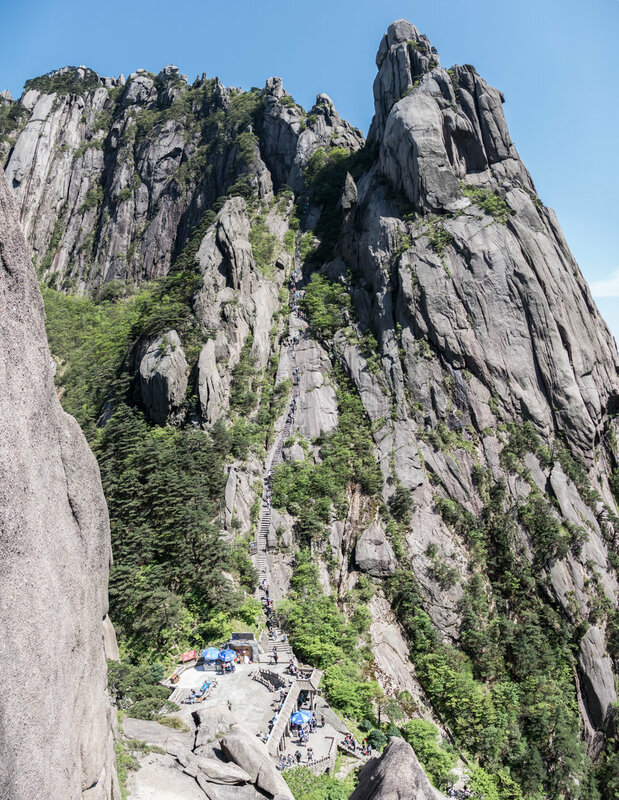 On May, 2017 we went to visit Huangshan (yellow mountain), one of the five sacred mountains of China and one of the most popular to visit. It is a UNESCO World Heritage Site. 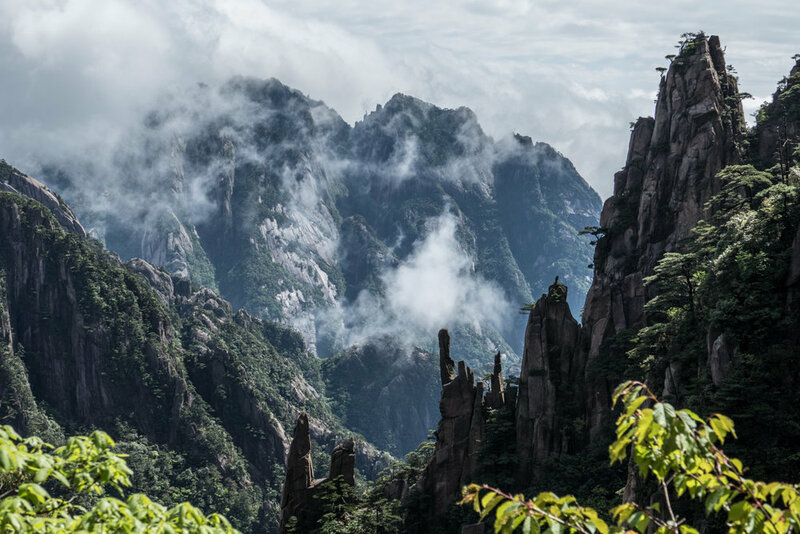 If you have seen the many Chinese paintings of jagged mountains with trees growing out of the tops and shrouded in mist with a pagoda or two, Huangshan is an example of where these come from. The views are astounding, but the crowds are also impressive, especially on the weekend. To avoid the weekend crowds, we left on Wednesday afternoon, following my class and took the overnight sleeper train to Huangshan which is located in Anhui Province. We shared a 4 person sleeper with another couple. This was actually a close catastrophe for me. 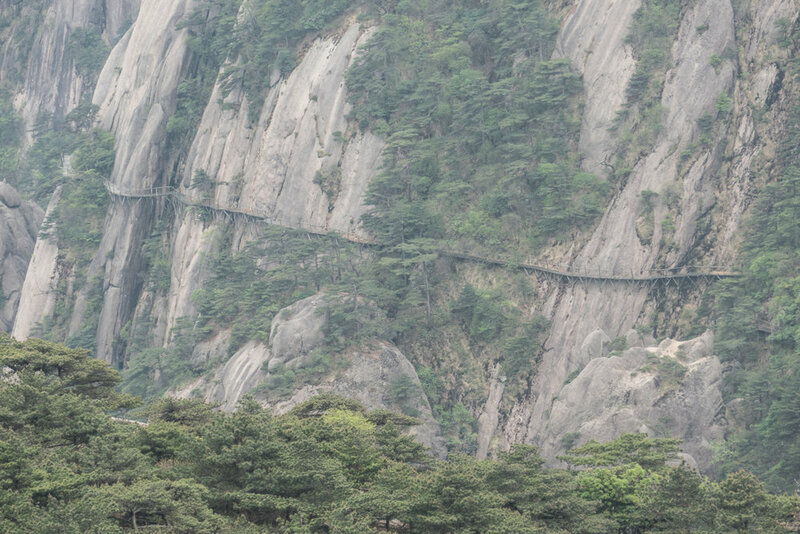 When we reached Huangshan in the early morning, we were halfway out of the large train station when I realized I didn’t remember putting my laptop in my backpack. I rushed back to the train which was fortunately not bound for another city or it would have been gone, found our sleeper car and found the laptop under the covers of the upper bunk. 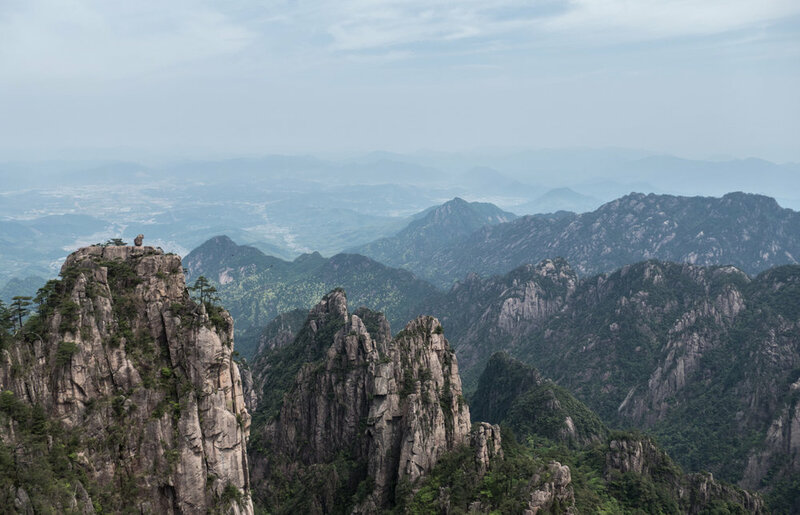 Huangshan is not a single mountain but a complex of closely spaced peaks. It is famous for the “sea of clouds” that often roll in and cover the peaks. One could easily spend more than a week exploring all of the various peaks. We stayed for 2 nights on the mountain top at the Xihai Hotel (not cheap!) and came down on Saturday which had huge crowds and long lines waiting to climb each peak. The views are spectacular, though. 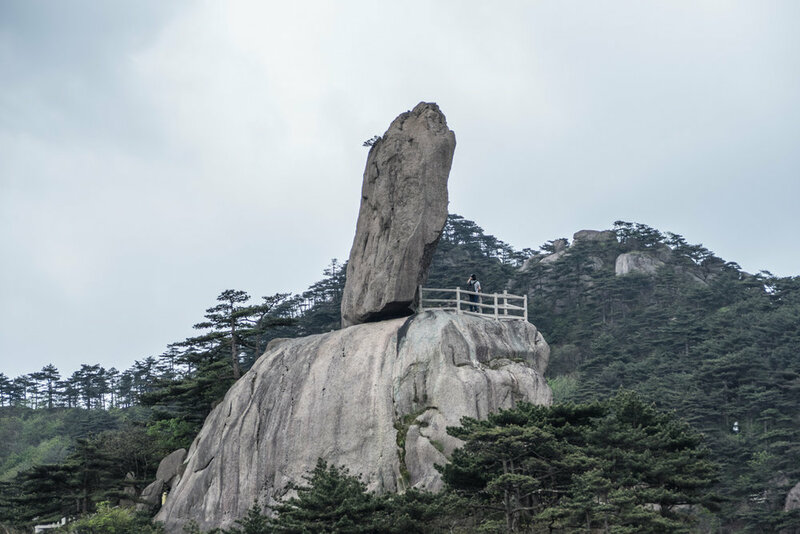 Flying rock (飛來石) is one of the most famous sites. It overlooks a tall sheer cliff. It is interesting to speculate how such a rock could come to this position naturally. Vertical panorama of Heavenly Capital Peak, an impressive upward climb. See the line of hikers snaking up to the peak.